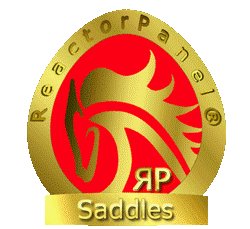 Home › More About the ReactorPanel System › Does Your Saddle Fit? Does the saddle fit the horse’s back shape? We encounter and solve equine behavior issues every day that are saddle-related, often surprising horse owners who previously believed that their horses had personality or training issues find that the behavior improves under a well fitting saddle. Also riders who have experienced pain or discomfort during or after riding often find they are at last pain free, please see our article Pain Related to Horse Riding for more information. The front of the tree matches the angle of the horse’s shoulder when mounted and there is clearance of the wither. There is even contact under the entire panel area when ridden leaving no swirled hair. when the saddle is removed. The saddle tree matches the horse’s top line, whether straight, convex, or concave when in motion. The gullet of the saddle provides clearance for the spine and spinous processes through its entire length both in height and width. The saddle stays in place when ridden. The girthing sits in the horse’s natural girth groove. The rider sits comfortably in balance, feeling close and connected to the horse. Does your saddle fit? – Things to consider. Is your horse quiet and calm when you approach with the saddle? 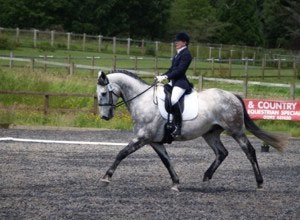 Can your horse pick up the correct canter lead and bend evenly on both reins? Does your horse stand still while you tighten the girth and at the mounting block to be mounted? Does your horse move freely forward when you travel downhill? Is he backing off or refusing jumps or bucking on landing? Are you balanced and comfortable in the saddle front-to-back and side-to-side? Are you and your horse pain-free after riding? If you don’t know how to check your horse for pain, a competent professional, ourselves or one of our Accredited Fitters can assist you. After riding is there any ruffled hair or are there area’s where the hair is thinning or turning white? Does the muscle feel even across the saddle area or are there softer patches that were not there previously? The most important thing is that the saddle does NOT move around when ridden , either bouncing at the back, moving backwards , forwards or to either side. 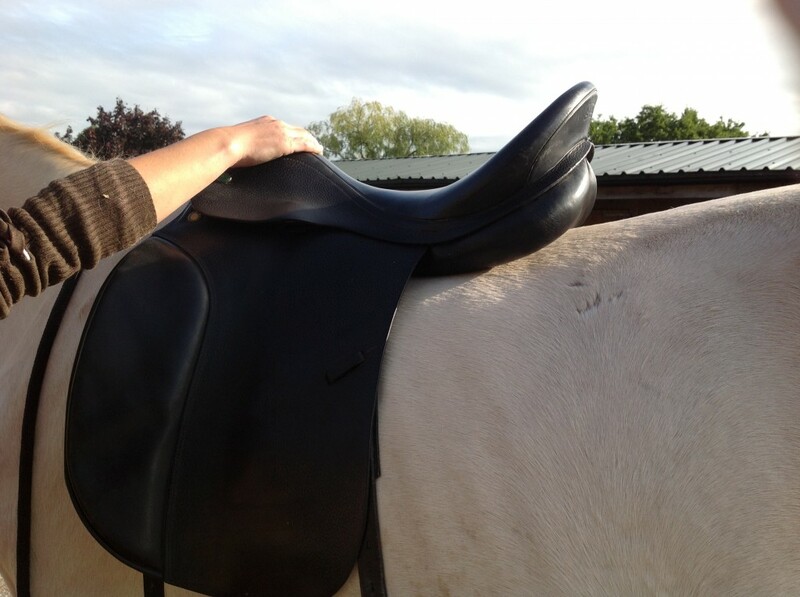 While other factors can also influence the above a saddle check should be the first thing to check. If you are concerned about your current saddles fit please feel free to call either our office line or your local Fitting Specialist for advice. Hi Amanda,Sorry for the delay in replying, server has been down for a couple of days. yes we can come and check your saddle for you. what is the address where your horse is kept and the best contact number for you please?